The fusion of art and fashion. 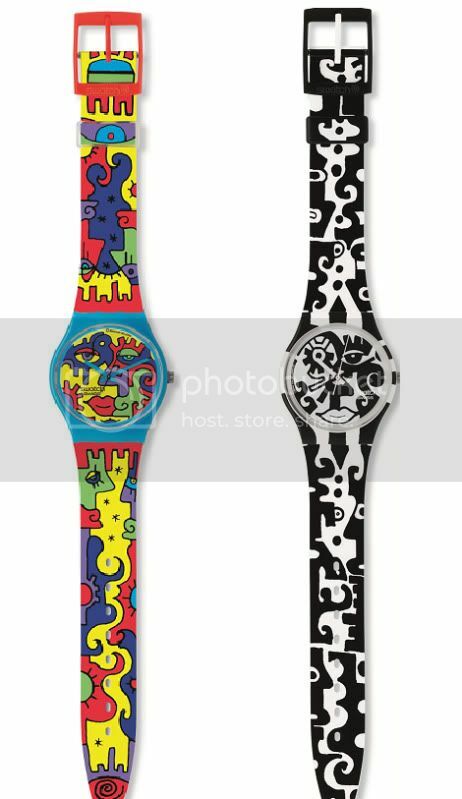 Here are brand new limited edition timepieces by Billy the Artist for the Swatch CreArt Collection launching today. Originated in 1986 with pieces designed by famed artist Keith Haring, this collection introduces a mainstream audience to the world of abstract creativity by giving consumers the opportunity to purchase “wearable” art. The time for lovers is always precious and easily elapses from fingers. Since then, why not record the happy time with chic accessory. Designer couple watch is the best keepsake for lovers to memorize their happiness. However, the original high-end couple watches are all sold at hefty prices which are usually far beyond the reach of many couples.cheap replica watch In that case, I highly recommend you to buy quality replica designer couple watch.